First Graders Celebrate their Great Reading Habits! The first graders finished up our first reading unit, Building Good Reading Habits, by celebrating all of the hard work they’ve done. 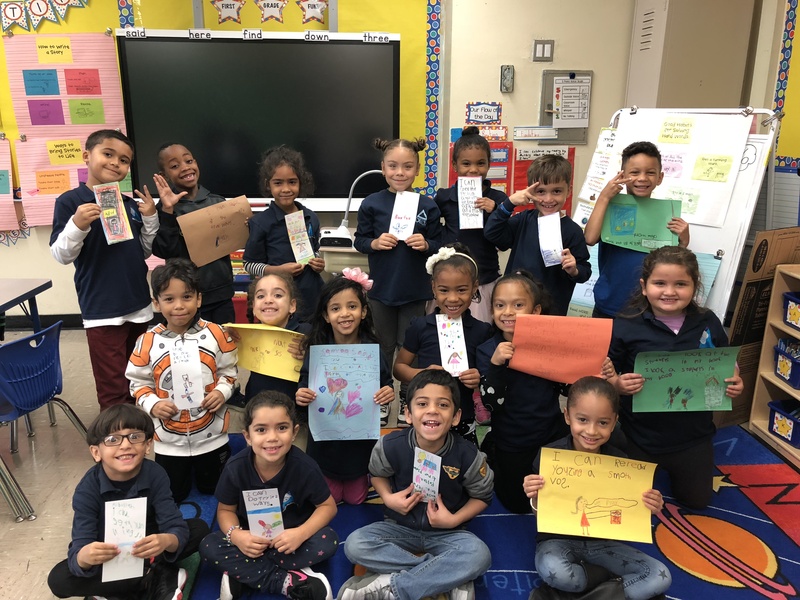 They each created a poster or bookmark that showed something they’ve been working on and feel that they do really well as a reader. They’ve been working hard to turn these reading behaviors into habits. Whether it’s taking a sneak peak, looking at all of the parts of the word, asking what word would make sense, checking the picture, or reading in a smooth voice, they are all super proud of their hard reading work! Previous Entry:3-205E’s Masters of Measurement!